B.R. 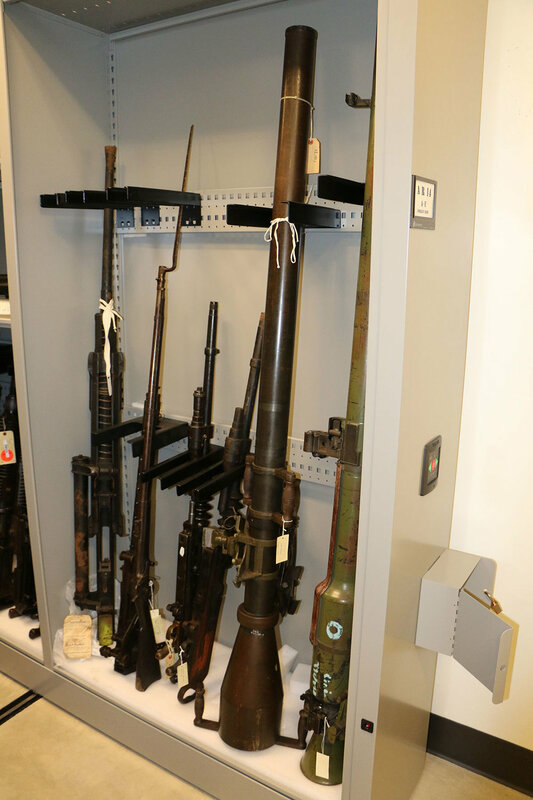 Howard was contracted to conserve over 100 military weapons and firearms. The collection will be displayed at the National Museum of the United States Army which is currently being constructed to celebrate over 240 years of Army history. These military objects and firearms range from 1670 to our countries most modern weapons used today. 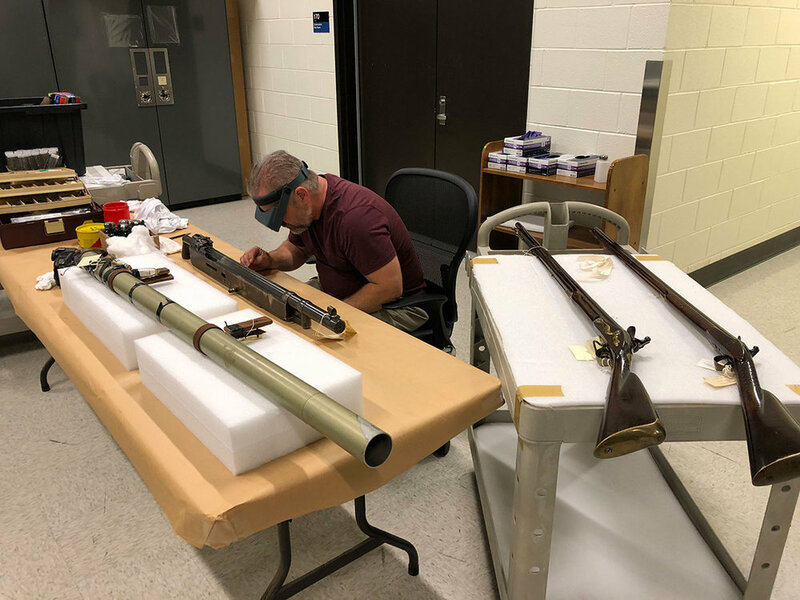 These include some of the earliest muskets, rifles, handguns, machine guns, flamethrowers, rocket launchers, grenades, mortars, ordnance, and significant archaeological relics. 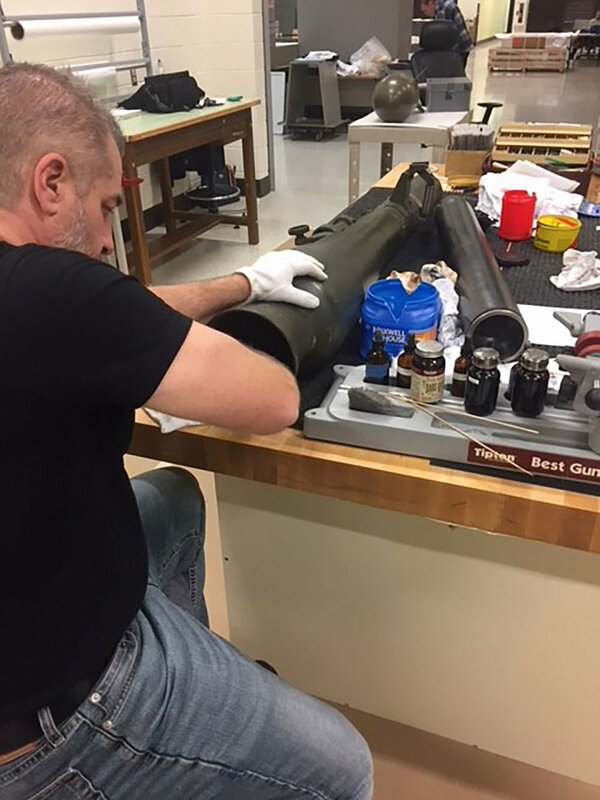 While there were many incredibly rare and interesting artifacts, some of the most notable treatments included the Lewis and Clark air rifle, a M28/M29 Davy Crocket Nuclear Weapon System, and a WW1 Stokes Mortar. The guns were all partially or completely disassembled to facilitate the treatments. Parts were labeled and documented throughout the process. Treatments objectives included surface cleaning, corrosion reduction and stabilization, reduction of accumulated oils and varnishes. Some of the artifacts required repairs of splits or fractures and replications of missing wooden components. Machining and fabrication of missing or broken steel mechanisms, fasteners, and components were also performed as necessary.